Submission Deadline: June 4, 2014 11:59 p.m. If you are a sophomore, junior, or senior high school student in Hawaii (Grades 10-12) with an interest in Chinese history as it relates to the history of the State of Hawaii, History Education Hawaii, Inc., the state council of the National Council for History Education (NCHE) invites you to enter the Wendell Ching Memorial Essay Contest this Spring 2014. Topic: Analysis of a historically significant event or person as related to Chinese history in Hawaii. The purpose of this essay contest is to raise awareness of the importance of the remembrance and analysis of history. Any sophomore, junior, or senior high school student in Hawaii (Grades 10-12) can submit an essay. Essays will be judged on the depth of research and analysis, clarity of argument supplemented with supporting evidence and details, and writing style with emphasis on correct grammar, citations, vocabulary, etc. The language of the text must be in English, and the essay should be no more than 7-10 pages, double-spaced. Format, bibliographic sources and citations using Chicago style, size 12 Times New Roman font. Please include your name, your school, mailing address and email address. The essays submitted to the contest committee will not be returned. The winner of the essay contest will be announced at the History Education Hawaii Summer Conference scheduled for June 13-15, 2014 in Honolulu. 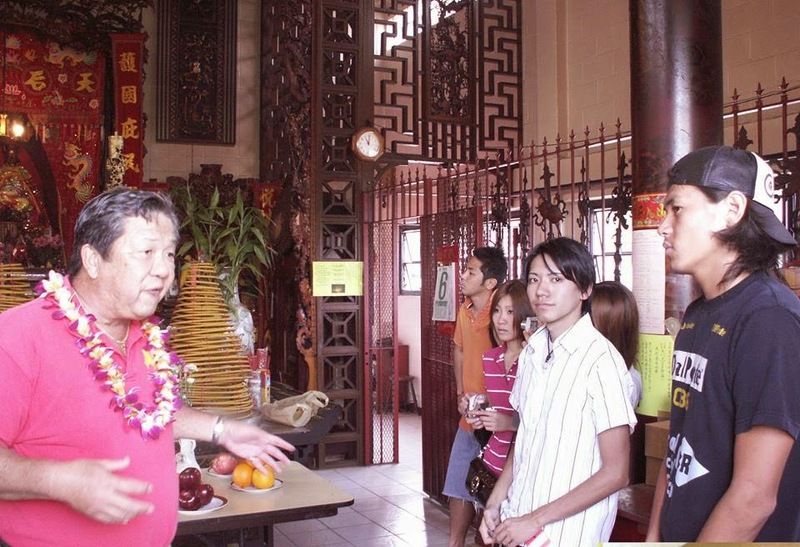 Before Wendell Ching passed away a two years ago, he was a recognized as an historian who led thousands on tours of Honolulu's Chinatown through the Hawaii Heritage Center. He was also a deacon at Central Union Church. In posthumous recognition of his many contributions to preserving the history of Chinatown and Hawaii’s heritage, History Education Hawaii, Inc., has started the Wendell Ching Memorial Essay Contest. History Education Hawaii, Inc., the Hawaii council of the National Council for History Education (NCHE), will be holding a first-ever history education conference in Honolulu June 13-15, 2014. The Hawaii conference welcomes everyone who loves to teach and learn history inside and outside the classroom to gather, celebrate the subject of history and share. Conference proposals are encouraged and welcomed that illustrate collaboration, technology, educational best practices, original research and history education. 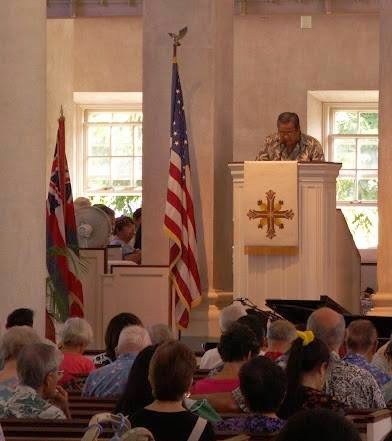 On Friday, June 13, events and sessions will be initially held at Hawaiian Mission Houses Historic Site and Archives; the Hawaii Judiciary History Center at Aliiolani Hale and the Old Archives Building at Iolani Palace. Guided tours of Historic Chinatown will be available through the Hawaii Heritage Center on Smith Street. On Saturday, June 14, sessions and presentations will be held at The Sullivan Center for Innovation and Leadership at Iolani School, Honolulu. On Sunday, June 14, all four Pearl Harbor-based museums will be open for free to conference attendees. Museum staff will be available to discuss educational programs available for history educators and the public, including Title 1 Programs. NOTE: The total number of conference attendees will be capped at 150. An early bird registration rate of $125 is available until April 30. Starting May 1, the rate will increase to $150. A special student rate for Hawaii students enrolled in high school, college or university is available at $50 each. A History Educator of the Year Award will be announced. The 'Wendell Ching Memorial Essay Contest' for high school students winner will be announced. Members of the 2014-2015 Board of Scholars will also be announced. Presentation and session proposals will be accepted through May 15, 2014. The conference also offers many sponsorship opportunities. These include receptions, lunches, general sessions and space in the conference program and web site. Please check with our news-blog at historyeducationhawaii.blogspot.com for conference updates. The $125 early bird registration deadline has been extended by two weeks to April 30! History Education Hawaii, Inc., the designated Hawaii state council of the National Council for History Education (NCHE) invites submission of papers and presentation proposals for its upcoming 2014 Summer History Education Conference in Honolulu, June 13-15, 2014. The 2014 Summer History Education Conference is open to history educators, historians, students and independent history scholars. The conference is being organized and coordinated by The Pacific Learning Consortium, Inc., for the benefit of History Education Hawaii. Locations for conference events include the Hawaii Judiciary History Center, the Hawaiian Mission Houses Historic Site and Archives, the Old Archives Building at Iolani Palace, and the Sullivan Center for Innovation and Leadership at Iolani School. Those wishing to submit paper and presentation proposals should submit the entire paper or a 400-word abstract with name, a short biography and contact information. The deadline for submissions is before 12:00 a.m., midnight, Hawaii Standard Time, May 14, 2014. Early bird registration fee is now available through April 30, 2014 at $125.00. It will increase to $150.00. Attention Hawaii high school and college/university students! We are offering you an opportunity to join in the fun! Interested students enrolled in a Hawaii-based high school and college or university may register for $50.00! You may pay at this time via PayPal invoice; please send your email request to historyeducationhawaii@gmail.com.